The temporomandibular joints (TMJs) connect your jawbone to your skull. They are located at either side of the head, near the ears. These joints are essential in speaking, eating and making facial expressions. TMJ dysfunction, or TMD, occurs when there is a disruption in the proper anatomical function of these joints. Symptoms of TMD vary from person to person. For many, jaw pain is most common. Depending on the cause of their TMJ dysfunction, some experience a popping or clicking sound when they yawn or chew. Because the TMJs are located near the ear, others can experience pain or pressure in and around the ear, and sometimes even ringing. These symptoms are more commonly referred to as tinnitus and otalgia. Other common signs of TMJ dysfunction include headaches, migraines, vertigo and sensitivity to light (photophobia). Headaches tend to occur when the muscles around the TMJs become strained and/or go into spasm. Clenching and grinding (bruxism) are other factors that can be interrelated. When people become stressed, they tend to clench and grind their teeth, most of the time unknowingly. 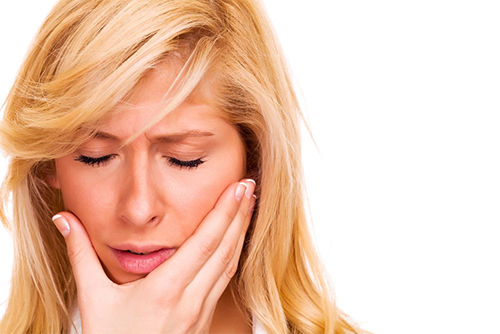 This can lead to toothaches, pain in the cheeks and gums, and even periodontal issues in some cases. Sometimes the causes of TMD can be clear. Any traumatic impact to the joint (micro or macro trauma) can result in the dislocation of one or both TMJs. Whether it's a car accident, sports injury or fall down the stairs, these can all lead to the dislocation of a joint and/or misaligned bite. Having a misaligned bite, or malocclusion, makes every day actions like chewing strenuous to the TMJs. Over time, this strain will ultimately cause arthritis of the joints and inflammation to the surrounding tissues. TMD has been linked to several diseases and disorders including fibromyalgia, Parkinson's, Tourette's, Dystonia and other types of muscle/movement disorders. We strive to accurately pinpoint the source of your pain and provide relief using the very latest in non-invasive, non-surgical treatments. Dr. Jelinek studied under his mentor, Dr. Brendan Stack, to learn a revolutionary approach for diagnosing and treating TMJ disorders. Click here to download our TMJ brochure. Contact us for more information about TMJ / TMD Treatment.